When it comes to building a new home, a homeowner focuses on different things such as the size of the kitchen, the color of the living room and the fixtures in the bathroom. But, he often forgets an important aspect of home maintenance. A good waterproofing system is essential for keeping a home dry. Why is a Waterproofing System necessary for your Home? It can cause basement flooding. Water leakage can damage your valued possessions. Presence of water can lead to growth of mold and mildew. It can lead to expensive foundation repair in the future. It can reduce the value of your home. A waterproofing system is necessary for every home. And, if you do not install it while constructing your home, you will have to remove the concrete floor for installing it in the future. It can become an expensive, labor-intensive and time-consuming process. So, if you want to avoid expensive repairs in the future, talk to the licensed general contractor about the waterproofing system. Before pouring the basement floor, the general contractor will fit a weeping tile adjacent to the wall. Also, he will build a trench near the walls of the basement to direct water towards a collection area called the sump pit. He will set up a sump pump in the pit to pump out water from the basement. An interior waterproofing system, if properly installed, ensures removal of water and moisture from your home. So, it is ideal to discuss it before pouring the basement floor. With the help of an exterior waterproofing system, you will be able to prevent water infiltration in your home. It will ensure minimum load on the interior waterproofing system. For stopping the water flow towards your home, the general contractor will excavate the earth around the foundation structure. It also involves installing a drainage membrane around the foundation walls. Do not avoid it because of its high cost. Also, do not think that applying waterproofing paints and injecting polyurethane in the cracks will prevent water infiltration in the future. They are stop-gap solutions to the water problem and will not yield long-lasting results. Remember that installing an exterior waterproofing system is a costly process. But, if you fail to undertake the process while constructing your home, it will become costlier in the future. Homeowners believe that installing a waterproofing system is a waste of time and money. 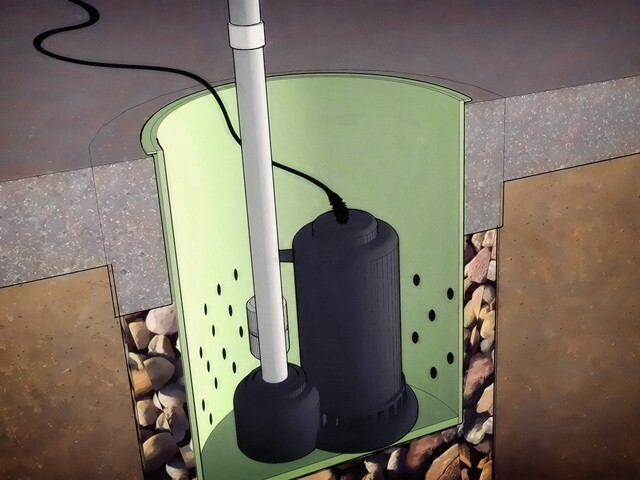 They believe that it is ideal to install it only when there is an occurrence of a water problem. But, you should not believe in reactive measures. Do not wait for water to damage your home. Instead, take proactive measures for keeping your home dry and safe. Remember that presence of a waterproofing system will give you peace of mind. And, avoiding it will lead to expensive repairs in the future. Adopt a proactive approach towards home maintenance. Pour Concrete is a licensed general contractor for installing a waterproofing system in your home. Contact Toronto’s favorite waterproofing expert for effective basement waterproofing.